Following a recent trip to Westfield in the heart of White City, I promise to look at their ongoing expansion as opposed to shop, albeit I may have left with one or two more bags than I arrived with, you can’t avoid noticing the sheer size of the development and in turn the amount of new properties about to flood the area. So with the ever-increasing desire to get onto the London property market, I want to share with you designer tips, not only on how to furnish a new build property but how to furnish on a budget. Back in late April, the BBC television centre opened its doors to the show apartment for the first release of the whopping 5000 apartments to be completed in the area over the next couple of years. With an eye watering starting price of £550,000 for a studio apartment, not much of a budget is left over to actually decorate and furnish the property. So to help everyone achieve a homely feel, here are a few tips on how to give the new builds that designer look on a budget and how to be savvy with what we chose to spend our money on. Space is a premium in London, and so you may be able to wave at a few other people from your windows. 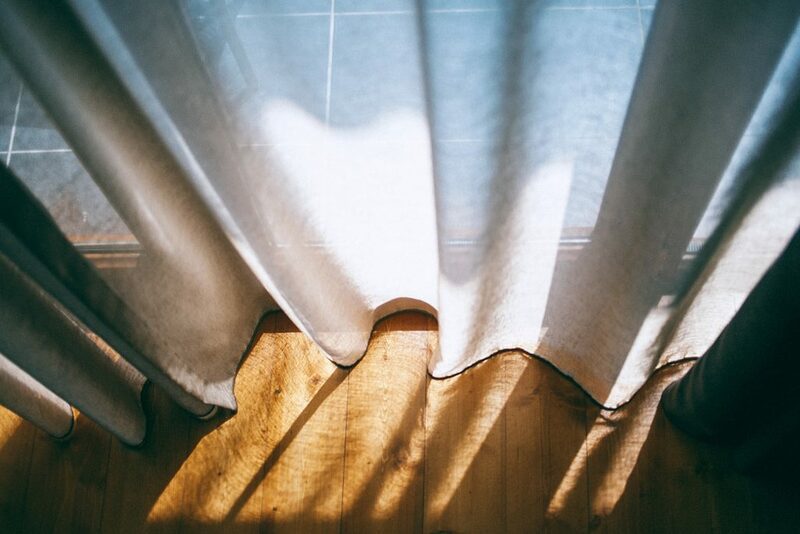 Make sure you get your blinds or curtains ordered around a month before you are set to move in. You don’t want to have any awkward first meetings with the neighbours!! Window dressings make such a difference in a space and really turn a house into a home. John Lewis has a brilliant off the shelf or bespoke service and with such a wide range of fabrics, you will be certain to find something in the right style and within budget. New build homes are more often than not sold as blank canvases, unless you have upgraded the specification at time of build, all walls will more than likely be plain white. Add your own personality through decorating with an easy paint fix. Despite being able to create beautiful interiors with all white walls, if you are lacking in the furniture department, a little colour on the walls will appear to make the space seem fuller than it actually is. A cherished gold from Dulux or a dark inky blue from Farrow and Ball are the favourites this year. With most new builds now finished with an all in one living, kitchen and dining area the sofa is the heart of the entertaining space and so the first piece of furniture that you should invest in. The saying is true, you do get what you pay for and so by investing now, your sofa will move on with you when you finally save up enough to move again. Should you find yourself without a spare room or in a studio, investing in a good quality sofa bed that can be used every night of the week means that you won’t have to compromise on the socialising. 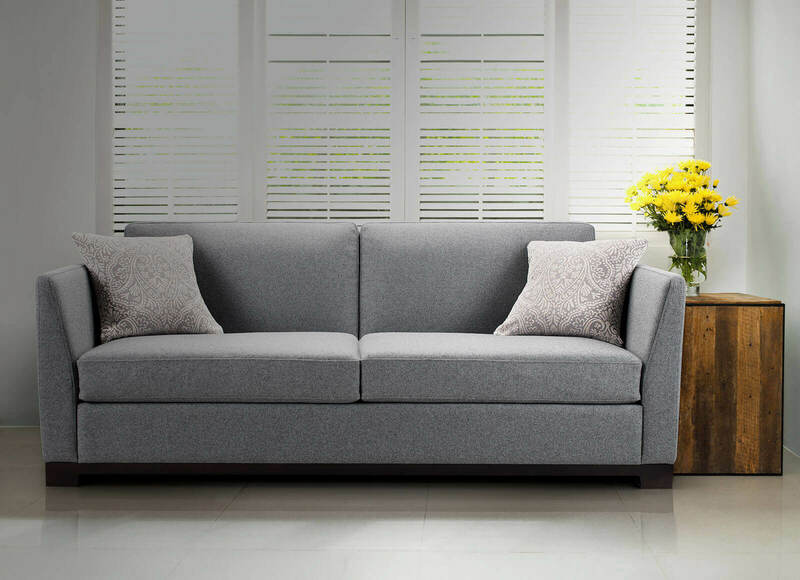 Furl of course has a great sofa bed range, well worth looking at for a new build buyer. Don’t feel that you have to furnish a new build all at once. There is a feeling like no other when you find the perfect piece that you know will fit within your new home, and this takes both time to save the money and time to search for the perfect item. You will get great joy in filling up your home over time and creating memories in doing so. For all of those first time buyers, congratulations! …And good luck!